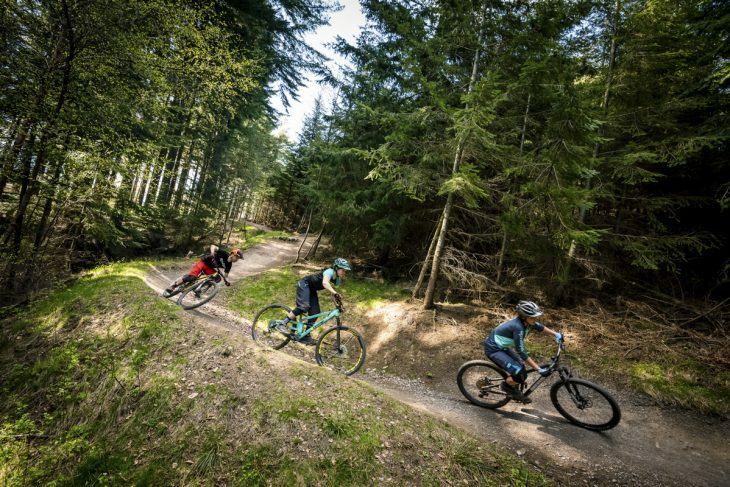 Back in May, Wil and Amanda headed off to Hamsterley Forest with three UK made 29ers we had on test for issue 119. They were to spend a couple of days shooting the video reviews for the digital magazine, followed by a day with James Vincent and his glamorous assistant to snap photos for the print magazine. 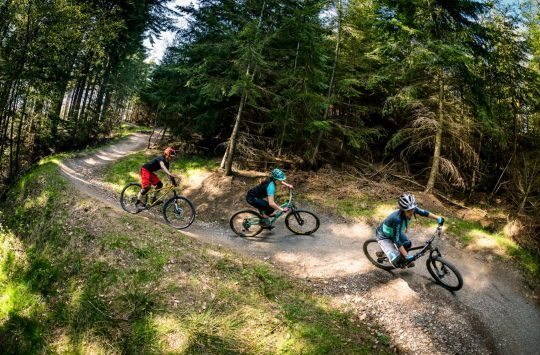 Oh, you haven’t got your copy yet of the brand new issue of Singletrack Magazine? Good news – you can get your digital or print copy right here! I always look forward to putting the bike test feature together for the magazine. Sat at my desk with a coffee I am sent a gallery of beautiful riding shots, all neatly organised into folders along with detailed shots of each bike. It’s the one feature I can just choose my favourite photos for, instead of comparing landscapes and checking the images suit the tone of the feature. The videos aren’t so easy as they tend to arrive as an Airdrop of files in no particular order, although saying that, they’re easier than the alternative which was to film them myself. Wil adding volume spacers to the Orange Stage 4 before heading out for another lap. Wil likes to instagram food. By this point I had eaten mine. The first day of testing saw me and Wil doing repeated laps of the Black loop at Hamsterley Forest. 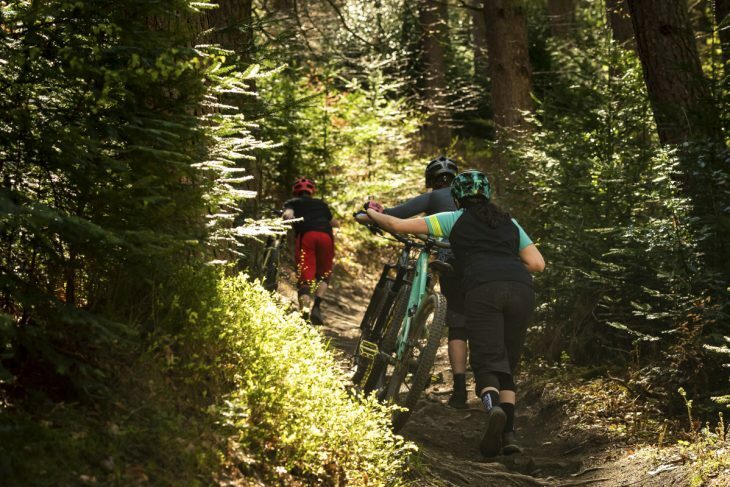 Plenty of berms, rock gardens, jumps and drops to scope out good places for photo and video. 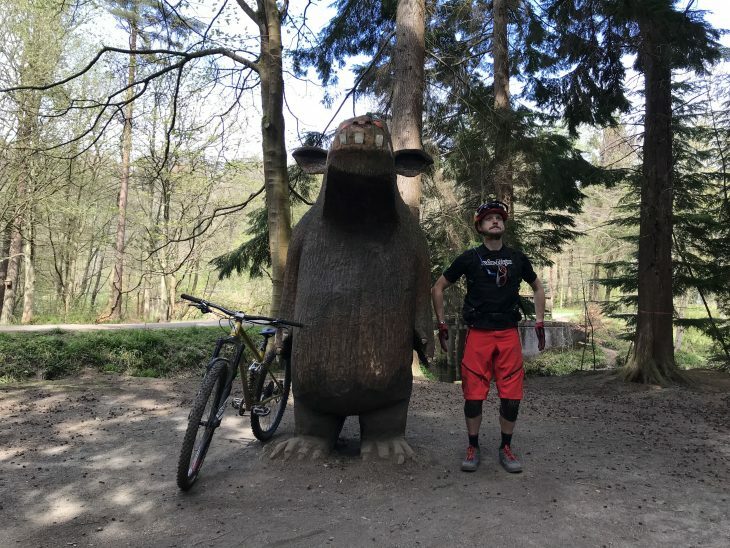 I had never ridden a 29er before, so I spent the day learning how to corner again as we swapped bikes, discussed how they rode, and identified things we particularly liked or disliked. 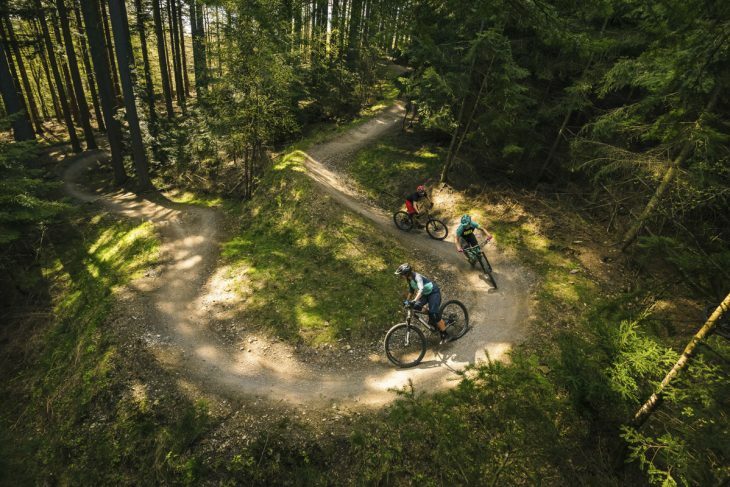 For Wil, this gave him a final opportunity to compare how each bike rode on the same trail in the same conditions, meaning the bikes’ characteristics could show through more clearly. He’d been riding each bike for nearly two months up until this point, fettling with cockpit, tyre and suspension setup to get each one dialled in. He’s always keen to cap things off with a few days of back-to-back testing to finish off a group test like this though. Fitting in with the locals. The second day was for shooting all the videos. 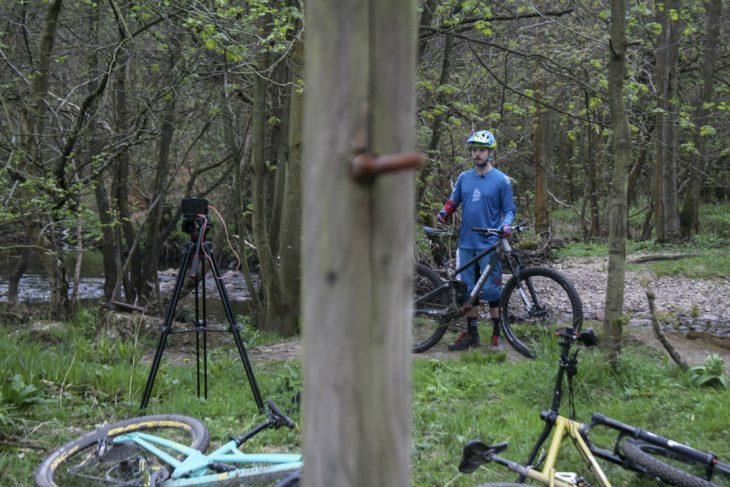 Our bike test review videos are edited down to around 3 minutes long, which includes both riding and pack shots of the bikes and a voiceover from the tester, summarising the review. 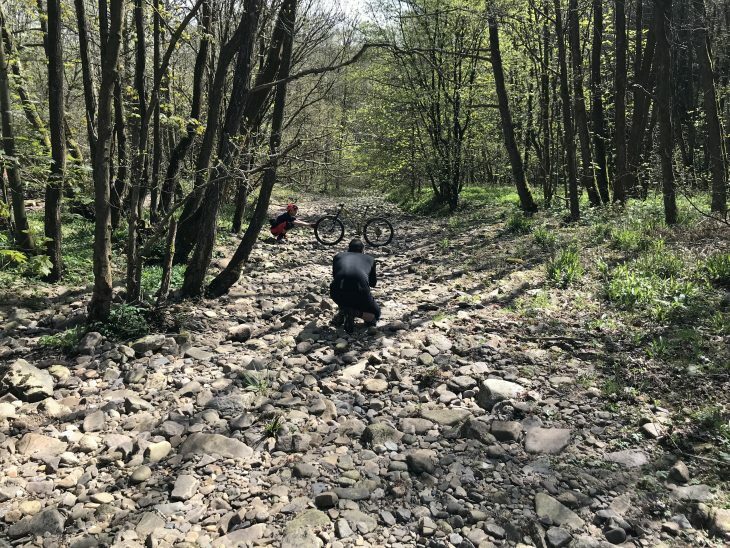 One thing I wanted to achieve for this test was to have no repeat footage – all the bikes were to be ridden on different sections of the trail, so that meant a couple of loops with there only being two of us. Riding footage involved Wil ‘sessioning’ certain features as I ran alongside him, or sat right by the section I wanted on film. 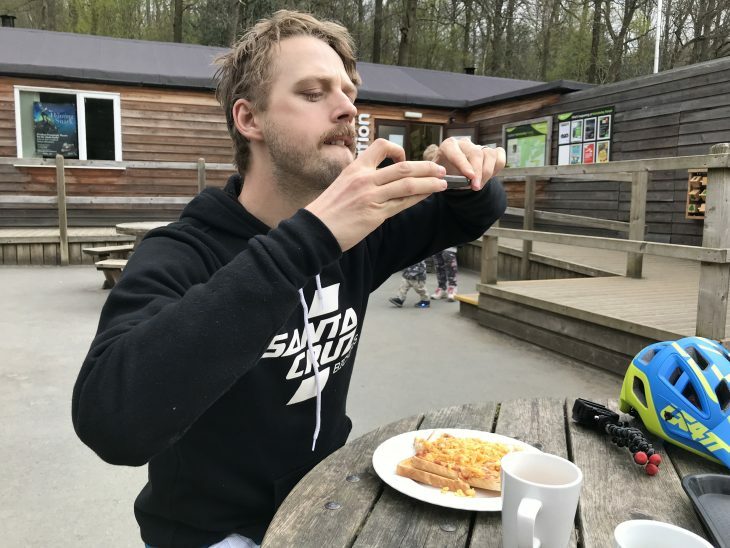 It didn’t take long for me to realise the hard work involved in shooting a bike test, but although I was exhausted I was happy to have control of the footage we got. Having shot all the riding footage, we setup the camera equipment in a nice spot by the river for filming the reviews. 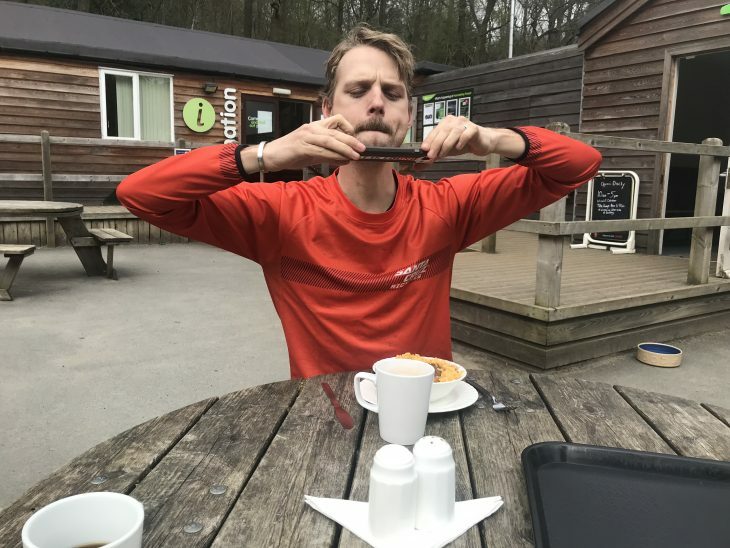 James has found another photo opportunity… back up guys. Our third and final day was spent with James Vincent and Bex Tatham. James has been the photographer for several of our bike tests now so he knew what was involved, meaning all the rest of us needed to worry about was coordinating our outfits with the bikes. We headed out on the trail with James ahead so he could stop anywhere he saw a photo opportunity. There were certain sections of the trail he insisted would make a good shot, even though me and Wil had ridden right past them for two days straight. It turns out he was right, and some of the best photos from the entire shoot came from places we thought nothing of. Guess that’s why James gets paid the big bucks eh? No James’s were harmed in the making of this bike test. The moment that stands out the most is James climbing a tree. 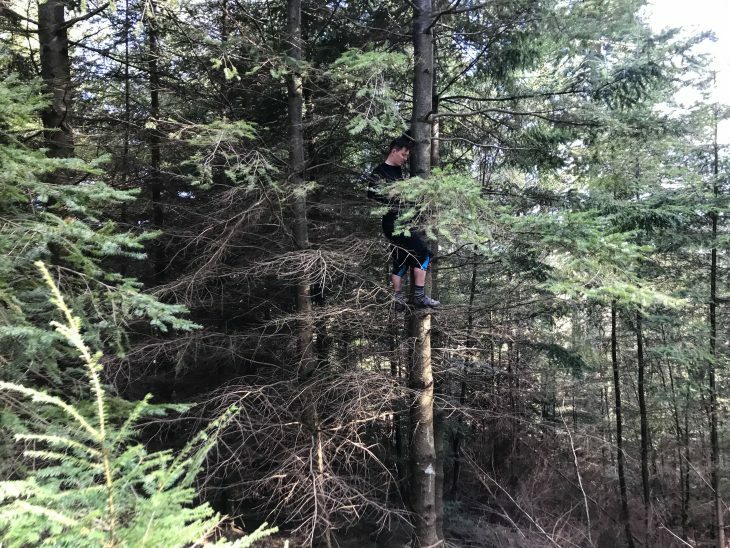 Having stood on a berm for quite some time shooting us riding around it from different angles, he had a particular shot in mind, so he set off up a very tall tree. His mood changed slightly at this point – he was more focused than ever but was visibly very aware that it wasn’t the safest idea. He didn’t say a lot, just “please can I have my camera, please” once he’d got himself settled. Well, as settled as you can be in a tree with no sturdy branches, over a trail. After nearly nine hours out on the trail, and with James safely out of the tree, we finally arrived back at the carpark, hot, sweaty and exhausted, but happy we’d got all the photos we needed for the magazine feature. It was now time for some well-deserved beers! And there you have it – a brief insight into what it takes to put just one of our magazine features together. I personally learnt a lot from this experience, mainly that it’s actually really difficult to get the opening shot for the bike test. Turns out the feature I find the easiest to lay out is that way because of the hard work put into it before it arrives on my desk. If you want to see a more in-depth view of the shoot, take a look at the VLOG I filmed below. 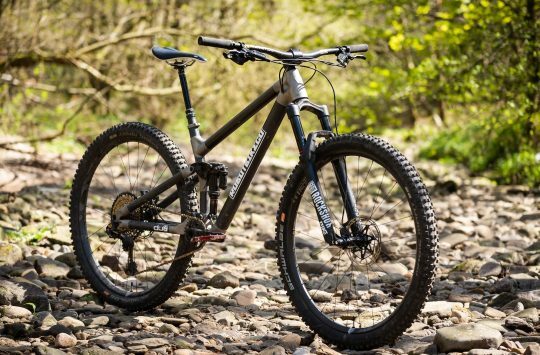 And if you want your copy of Issue 119 of Singletrack Magazine, then head here. Better yet? 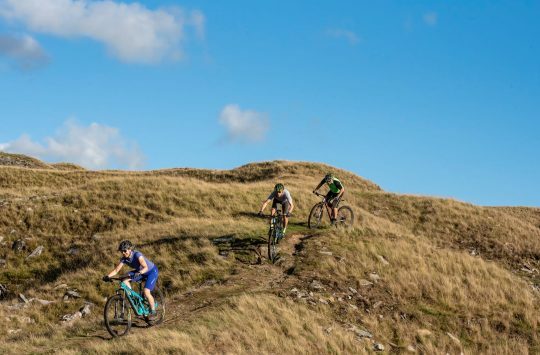 Support what we do and become a Singletrack Subscriber!